We tend to think of seasons as changes in the weather and holiday celebrations because those are evergreen and constant. However certain stages of life include a season of proms and graduations. My youngest son, Christian, is a high school senior and will be graduating in a few weeks so I knew that I’d be experiencing his graduation, but was doubtful that this spring would include prom activities outside of taking pictures at the school and the parade. 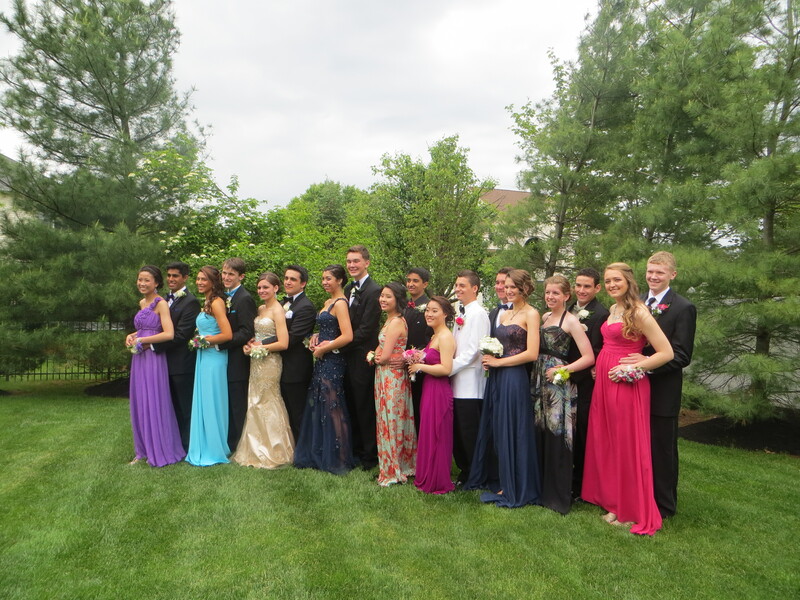 In Yardley, PA, the Pennsbury Senior Prom is a big deal and a community event. Last year was the first time I witnessed it. 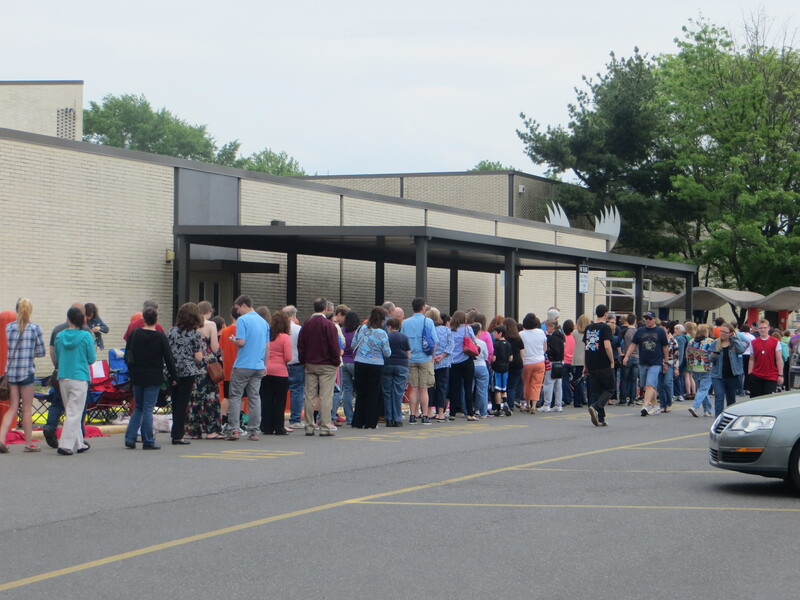 The day starts with parents staking out their territory in front of the school and creating rows and rows of labeled lawn-chairs along the drive. 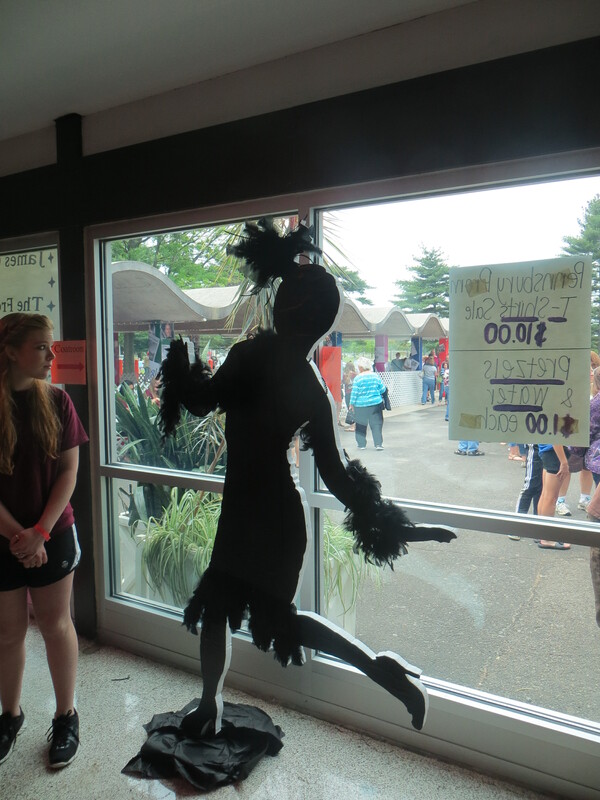 The school opens at noon to the public and people line up along the length of the building waiting to see this year’s prom decorations. 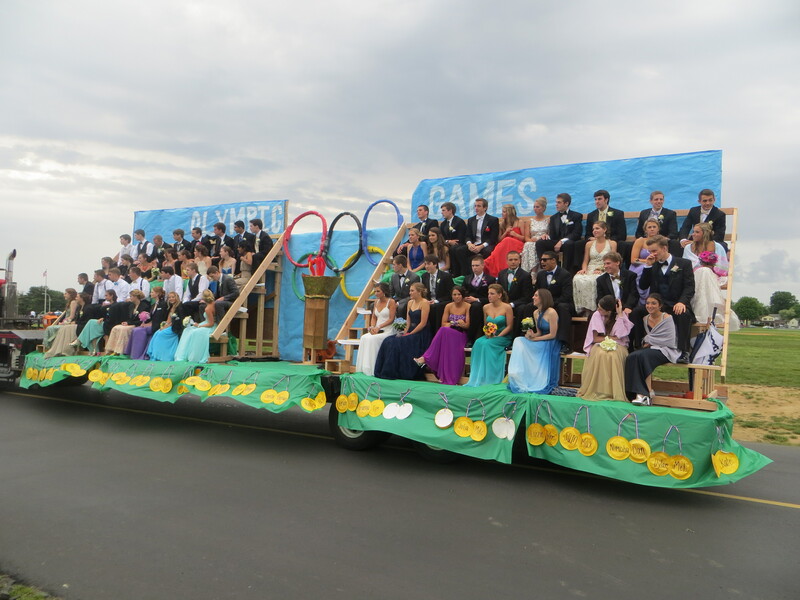 It’s an all ages event, everyone from young children who dream about the day they’ll build a float and attend the prom to couples who graduated more than 50 years ago eagerly anticipate the day. 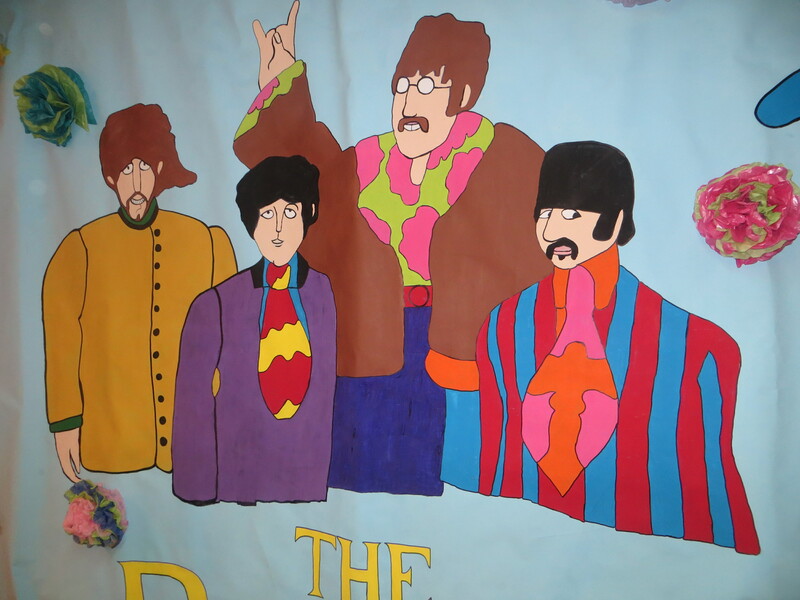 This year’s theme was “Through the Decades” and it seemed like every square inch of the school had been decorated. 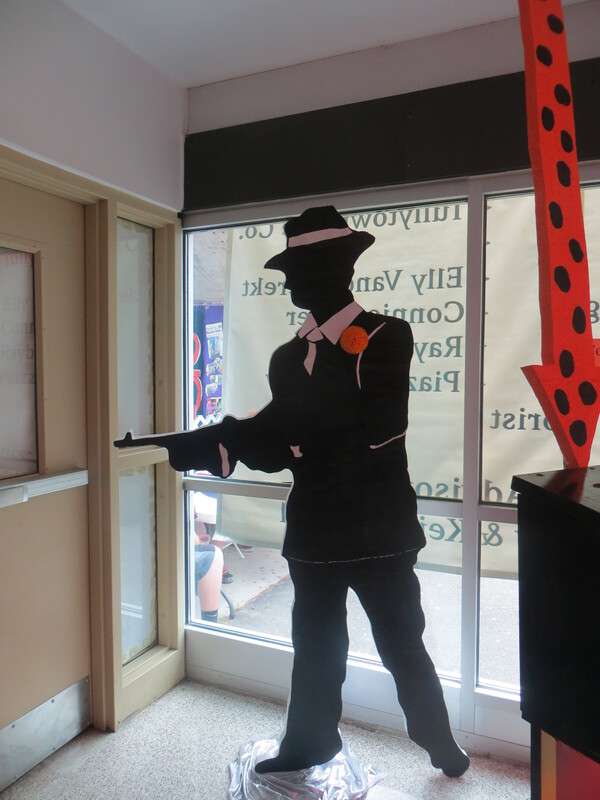 We were greeted by flappers and gangsters from the Roaring Twenties. The gold rush era was complete with cowboys and a river made of clear blue strips of cellophane, nuggets of fool’s gold, and a miner’s pan. 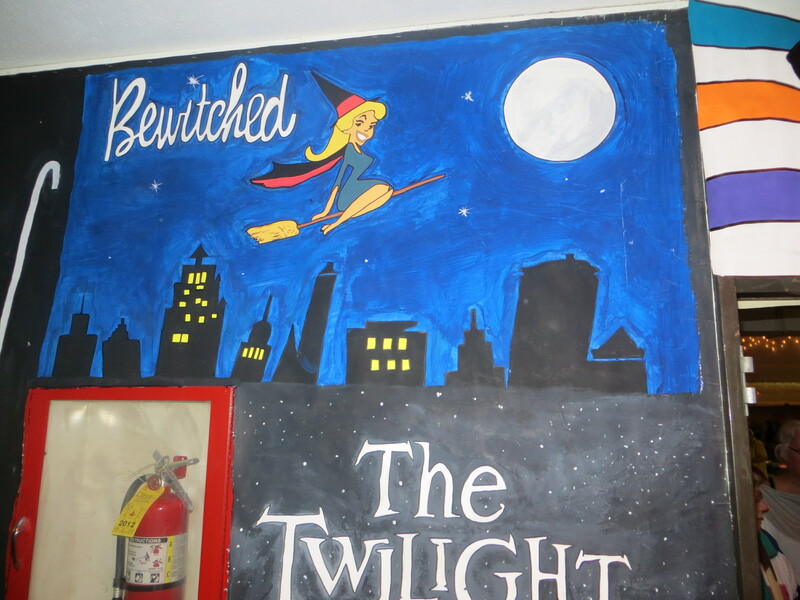 The cafeteria was transformed from the place that students inhale their lunch between classes to the time of sock hops and ducktails. It was fun to hear the parents around me reminiscing about the shows and their memories. 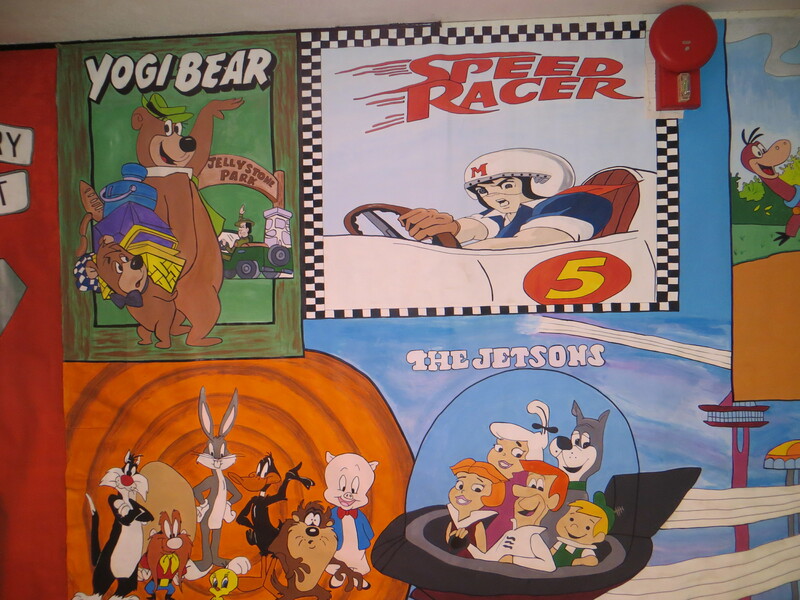 It made me think about how Saturday mornings were the only time you could hang out with your favorite families like the Jetson’s and the Flinstone’s. 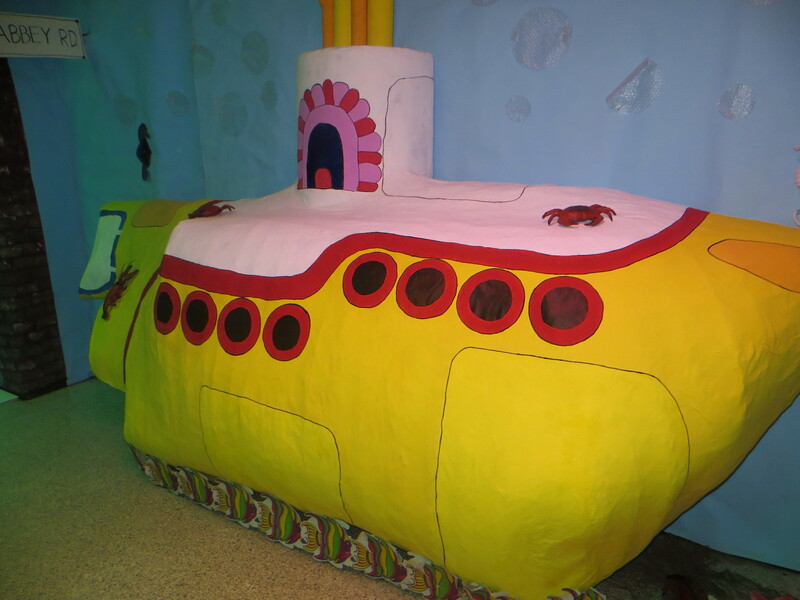 The florescent lights were covered with pink and green crepe paper and created a psychedelic lighting effect that was perfect for setting for the Beatle’s and the Yellow Submarine. 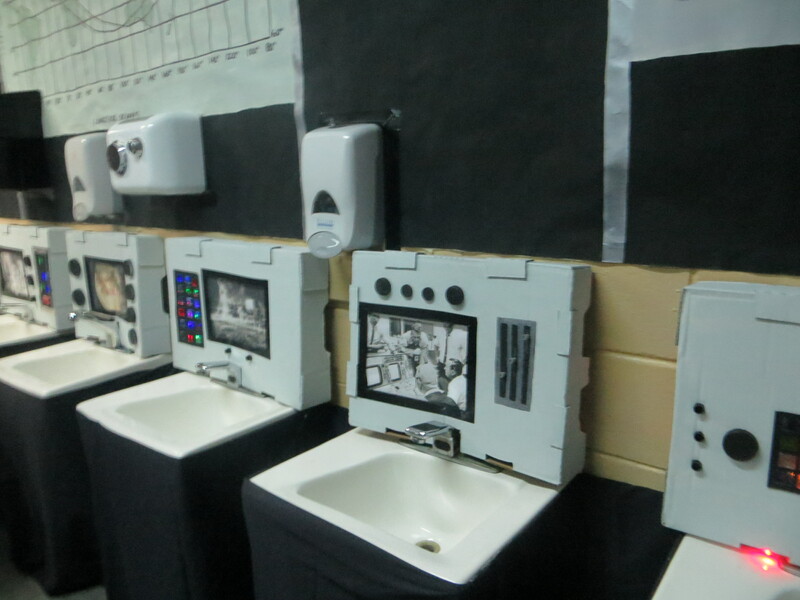 This year the boy’s restroom was command central for NASA and was complete with control panels and a splash down. (which made me laugh out loud). I ran out of time and didn’t get to see all of the decorations this year, but I’m certain they were amazing and each decade was represented in style. By the time I made it out of the 1960’s it was time to pick up a corsage and gather for the traditional pre-prom picture taking extravaganza. 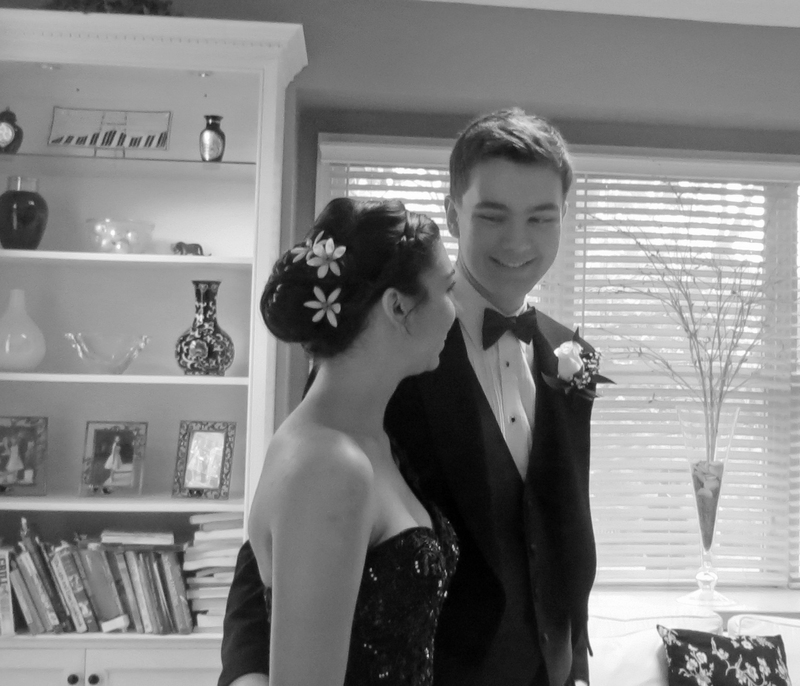 Christian doesn’t care much for dancing and until a few months ago had only a marginal interest in going to prom. A certain lovely young lady brought about a complete change of heart. 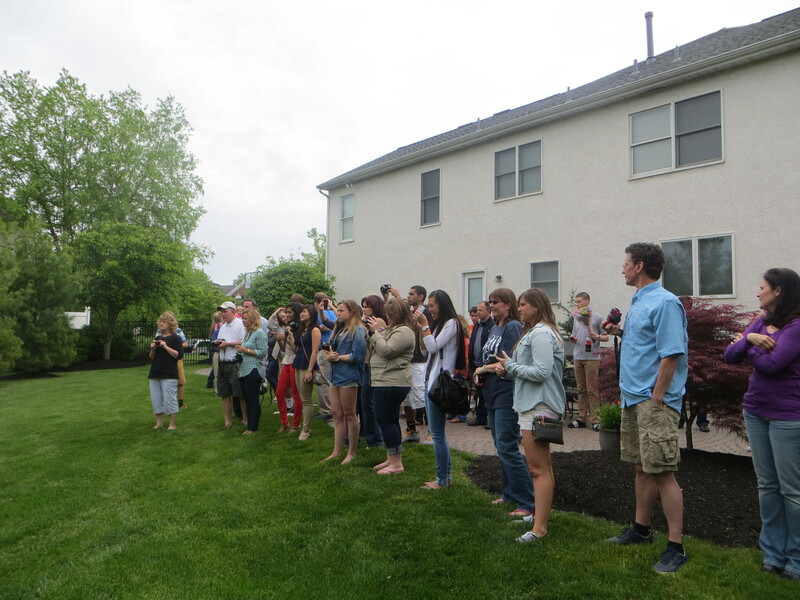 The parent’s took charge and lined the kids up for the time-honored tradition; too many adults with too many cameras making a group of teenagers temporarily cross-eyed as they try to figure out which camera they should look at. The parents and kids head to the school separately. After few phone calls I met my friends Paul and Mary at the beginning of the parade. “What float are you seeing now?” I asked. 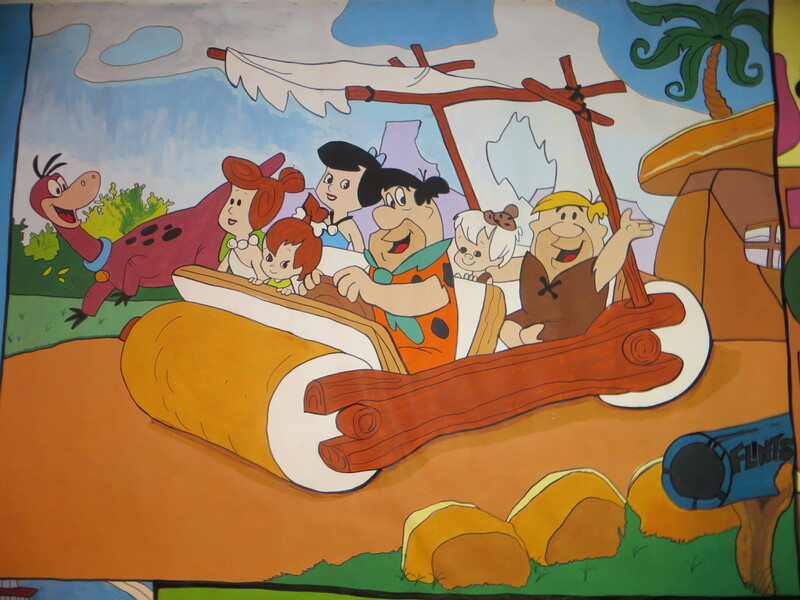 “The Winnebago that’s decorated like the Mystery Machine just passed us and two firetrucks are coming up next,” replied Mary. Sometimes I’m not sure what we did before cell phones. The spectators hid under umbrellas and wondered how the kids were going to keep dry under the cold and drippy skies. Last year I got sunburned, this year I could barely stay dry and warm. 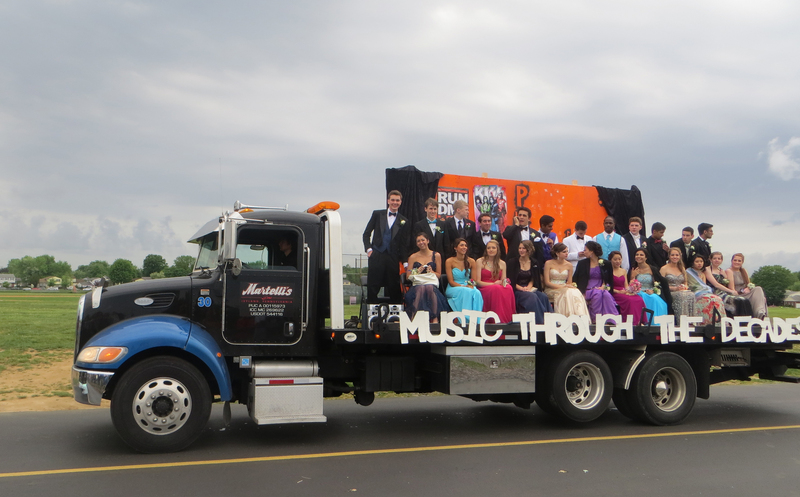 It made my heart smile to see Christian and his friends on their float singing along with the soundtrack he created, music through the decades. Everyone was surprised when the was over and it was only 6:15 pm, normally it lasts until 7 or 8. My guess is that some of the kids bailed because of the weather and there seemed to be more floats with twenty or more kids this year. 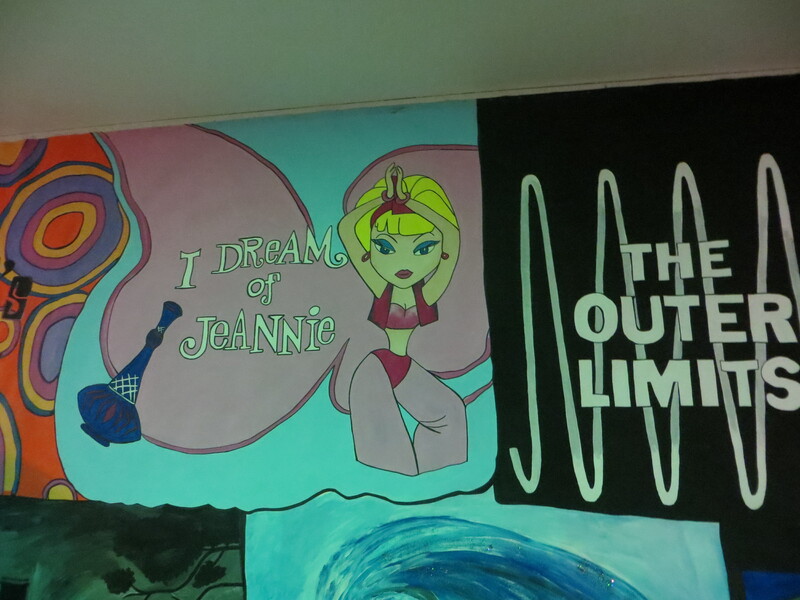 The biggest one was a tribute to the Olympics, complete with bleacher seating for somewhere between 50 and 60. I met Paul and Mary at a local eatery for a bite to eat, lots of laughs, and the perfect end to the day. Next up another prom followed shortly by graduation. Where did the time go? I know I’m not alone when I say “It seems like yesterday…”. < Has it really been a month? This makes me want to cry. It is hard to believe he is graduating. What a special young man. What a great job of capturing the evening! thanks 🙂 It was a great evening and he is a very special young man. I am blessed to have 3 amazing kids. Congrats on the successful launch of your little chick! What are his post-graduation plans? Best of luck to him, whatever he does and wherever he goes! Thanks so much Naomi! He’s headed to college in St. Louis and will be pursuing a degree in film making, he’s not sure if he’d rather be a director or an editor at this point, but time will tell. He’s going to a great school that is a perfect fit for him and I couldn’t be more excited about his future. Being on my own will take some getting used to, but I’m sure it will bring adventures I never imagined. You are so sweet! And yes you are right in that I can’t imagine what other amazing things life has in store for me. Thank you so much for sharing the event with me, it truly added so much to the experience to be able share it with you and Paul.